UHI, heavy local, surrounded by busy built aerodrome, minor distance UHI, small town, centre of Prestwick 3km, otherwise close to Scottish coast, with Scottish Islands and Ireland not far away. 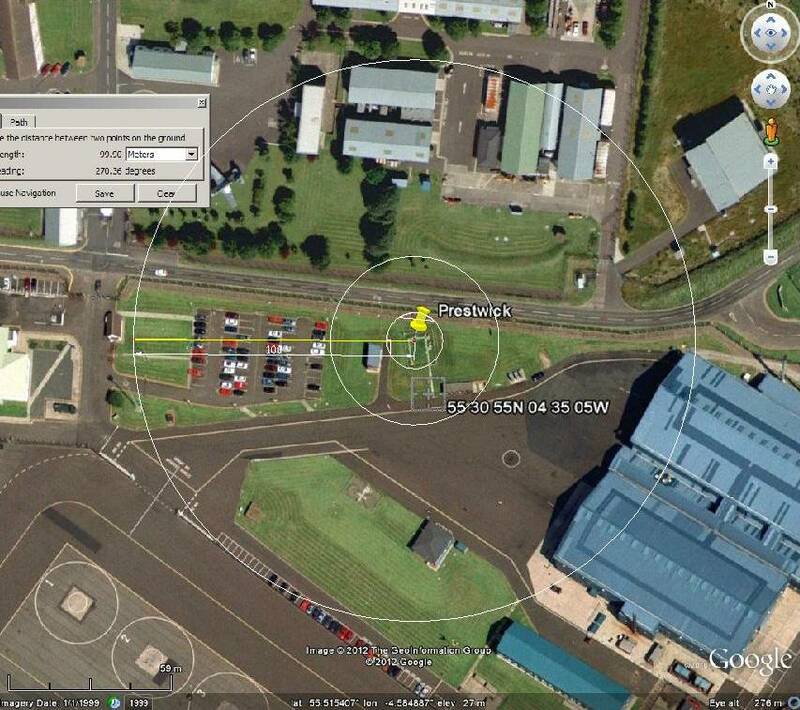 Google street view available, excellent view complete with warnings of razor wire. Bing coverage here? It’s the blue dot. In 1984 I was transported from Iceland to Prestwick for further trip to Holy Loch so I could ride a US submarine for a week. The Huntley is now gone from Holy Loch and subs no longer sail the waters in the waters west of Scotland.